Brookhaven is located north of downtown Atlanta in Dekalb County. It was recently incorporated into a city in 2012. 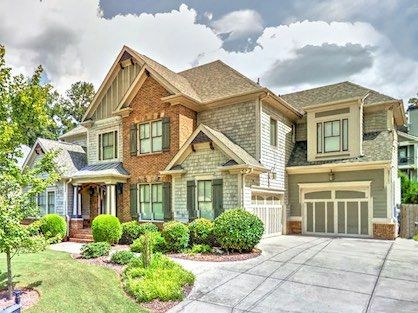 The real estate market in Brookhaven is one of the hottest in Metro Atlanta due to it’s desirable in-town location, great public schools and beautiful houses. Home prices in Brookhaven generally start in the $200’s but can be as high as three to four million, especially in areas around the Capital City County Club. The average home size in Brookhaven is approximately 2,580 sq/ft. 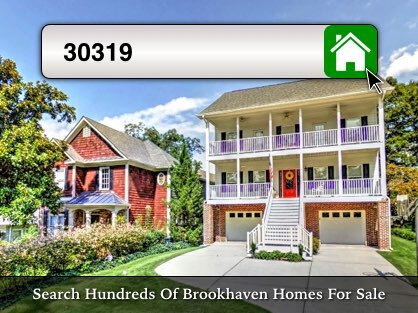 Want to know what homes are selling for in Brookhaven? Visit our market trends page for the latest local real estate statistics; then browse recently sold properties in the city. Also, check out our Brookhaven city guide to discover what makes this area such a great place to live. Are you ready to buy or sell a home in Brookhaven? With hundreds of active real estate listings, including those for sale by owner (FSBO), there are plenty of great opportunities to live in the city of Brookhaven. Whether you’re looking for a newer neighborhood with easy access to the interstate, or something a little more private in the city’s historic district, Brookhaven, GA has you covered. There are even fantastic opportunities for those seeking the simplicity of condo or townhome living. 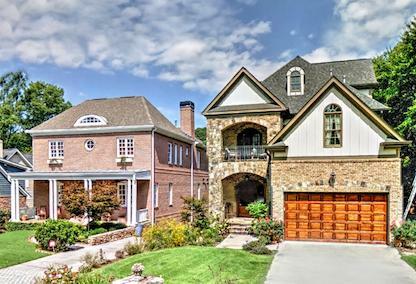 The city's great communities, top rated schools, convenient in-town location and gorgeous homes have kept the 30319 zip code at the top of Atlanta area home buyers' lists for years. If you’re ready to move beyond just visiting open houses and searching real estate listings online, contact an agent for full access to all the available properties for sale. The city of Brookhaven may be one of the hottest markets in the Atlanta area for single family home sales. In recent years, the sale of everything from older ranch style houses to brand new luxury properties has driven the housing market higher and higher. Strong demand from buyers has kept the number of REO (foreclosure), short sales, and HUD properties to a minimum, therefore maintaining home values. If recent home sales are any indication, hot properties will continue to generate a frenzy among home buyers. Visit our Brookhaven market statistics page to view home sale data and learn more about local real estate market trends. When searching houses for sale in the city of Brookhaven, many buyers simply look for properties located within the 30319 zip code, since it covers nearly the entire city. With many properties still listed using an Atlanta address, simply searching homes for sale by city (Brookhaven) may cause potential matches to be filtered out. Best practice may be to search by zip code, school district or individual neighborhood. Most of the houses for sale in Brookhaven (including 30319 real estate) can be found on this community page, but narrowing down the search using more granular filters or mapped areas typically provides better results. Some of the more common neighborhoods searched by home buyers include: Brookhaven Commons, Brookhaven Close, Brookhaven Fields, Brookhaven Gardens, Brookhaven Manor, Brookhaven Park Place, Brookhaven Renaissance, and Brookhaven Township. When traveling through the city, you’ll notice new homes being built all over. New construction slowed during the housing crash, but has returned stronger than ever. With few vacant lots still available for sale, many of the older ranch and bungalow style homes are being purchased by investors as tear-downs. Builders are putting up beautiful new houses with modern designs; completely transforming entire neighborhoods. Many of these new craftsman and traditional houses are 2+ stories and contain some of the most elegant finishes. Those interested in seeing some of these new homes, as well as many other unique and impressive properties in the area, should check out the annual Brookhaven Tour of Homes. Ready to start searching Brookhaven real estate records? City property assessments and tax information are publicly available to view on the county’s website for free. 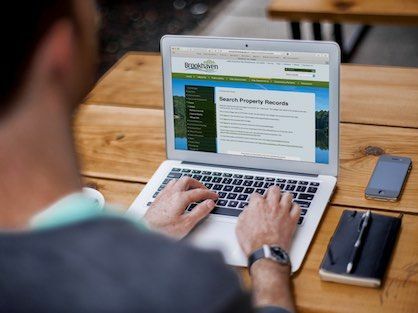 Information such as property sale data, ownership information, mortgage history, property data is available for nearly any property located in Brookhaven. Visit the DeKalb County tax commissioner’s page to view current and historical tax records. If you’re searching for deeds or subdivision plat maps, those can be found online through the Georgia Superior Clerks’ Cooperative Authority website. Deeds are filed by the closing attorney and may take some time to be recorded and digitized, so they may not be available to view until a month or so after closing. Foreclosure filings and legal notices for Brookhaven properties are published in the local legal organ and can be found online at the Georgia Public Notice website. Something to consider, especially when purchasing a home, are the property taxes associated with owning it. Real estate taxes in Brookhaven are based on the assessed value of a property, calculated using the city & county millage rates. Brookhaven’s millage rates are set prior to July 1st each year and tie into the city’s annual budget, which must be finalized by January 1st. Under the city’s charter, the millage rate cannot exceed 3.35 mills. County millage rates are established by the DeKalb County Board of Commissioners every year. Property tax statements are mailed out in August, with installment payments due in September and November. Each property has an established market value (land value plus structure value) which is assessed annually by Dekalb County’s property appraisal department. The city and county also offer tax reductions in the form of homestead exemptions for those who qualify. For more information about assessments, millage rates and homestead exemptions, visit the Dekalb County Assessor's website. If you’re looking for a top local agent to help you buy or sell real estate in Brookhaven, look no further. Our experience selling homes, combined with a high level of service & proven client satisfaction, means your purchase or sale will be a positive experience. As agents who spend a great deal of time working and playing in Brookhaven, we know its ins and outs very well. To provide our clients with the best service possible, we keep close tabs on current market trends, new developments, and the latest happenings in the area. As top Brookhaven REALTORS®, we take pride in getting our clients the best deal, whether they’re buying or selling a home. Ready to get started? Simply complete our buyer or seller consultation request form and I’ll be in touch with you to discuss your individual real estate needs. Sellers, want to know what your Brookhaven house is worth in today's market? Use our home value estimator to see what your property is currently worth.